Beginning in the earliest classes, students are brought into nature for phenomenological observation and study. Understanding our actions and their consequences for our planet are woven into the culture of the community. 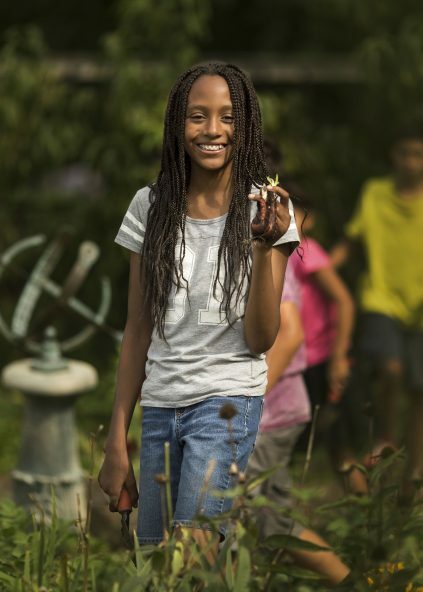 Students learn respect for all of earth’s creatures, the benefits of local food sources, biodynamic farming, and other aspects of sustainable living. 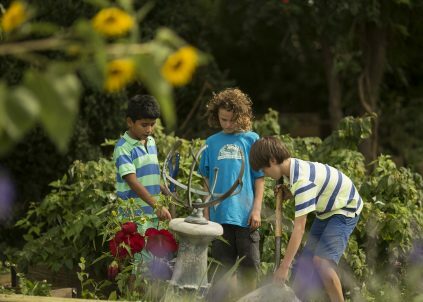 Additionally, the School’s required (Grades 1-8) gardening program provides a unique opportunity for students to engage in hands-on learning about sustainable urban agriculture.